New Zealand's strained political relationship with China - following the ban of Huawei from building part of its 5G networks - is costing the country more than it can afford. That's especially true in its tourism industry which China has become the nation's second-largest source of visitors and contributed millions of dollars to its annual tourism income. 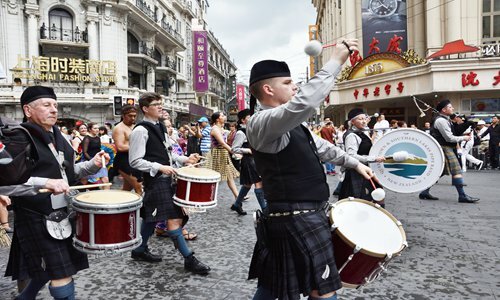 In the latest move, China postponed an event to launch the 2019 China-New Zealand Year of Tourism, which had been scheduled to take place on February 20 at Te Papa in Wellington, New Zealand, New Zealand authorities said on Tuesday, according to a Reuters report. It is not clear when the event will be rescheduled. The organizer of the event did not respond to an interview request by the Global Times as of press time. Bilateral relations have soured since November, after New Zealand followed certain Western countries' moves and barred Chinese telecom equipment maker Huawei from building a 5G local network, citing national security reasons. The move sparked widespread complaints among Chinese netizens. The tourism initiative, signed off in April 2017, is part of New Zealand tourism authorities' effort to attract Chinese visitors and make China its largest tourist market in terms of spending by 2023. According to the official website, the campaign is widely regarded as an opportunity for New Zealand to promote to Chinese travelers its "stunning natural landscape." Many tourism operators in New Zealand have embraced the event, radionz.co.nz reported on Wednesday. But tense political relations have negated the overall effort and sparked boycotts by Chinese visitors. It seems like putting off the promotional event may just be a trigger. During the seven-day Spring Festival holiday which ended on February 10, New Zealand was not ranked in the top 10 overseas tourist destinations on online travel platform lvmama, a spokesperson told the Global Times. Some Chinese tourists are considering dumping their plans to travel to New Zealand this year as a way to punish the country. "Is it a kind of robbery? New Zealand stabbed us in the back but asks for our money? This is double-faced," said a 30-something Beijing-based worker surnamed Li who identified himself as a patriot. Li has saved 15,000 yuan ($2,218.6) for a trip to New Zealand this year, but he plans to cancel the trip and travel to neighboring countries over resentment toward New Zealand's move. What stokes industry insiders' worries more is Chinese tourists' personal safety regarding a new law in New Zealand, which enables customs officials to examine electronic devices at the border. The law took effect on October 1, 2018. New Zealand is a member of the Five Eyes global cyber-surveillance alliance. The members, led by the US, have all talked about banning Huawei from participating in local 5G network construction, according to media reports. "I cannot tell if the new law is related to Huawei's case. But if the diplomatic rift escalates, stakes that Chinese visitors will be targets are high," a worker at a major online travel platform who spoke on condition of anonymity told the Global Times. "How warmly a country treats tourists could also affect Chinese citizens' choices of travel destinations. Bilateral travel exchanges need to be carried out in a good environment," Xu Xiaolei, manager of marketing at China's CYTS Tours Holding Co, told the Global Times. China is very important to New Zealand's tourism industry. Last year, 450,000 Chinese visited New Zealand, making China the nation's second-largest source of international tourists after Australia. It is expected that China will become New Zealand's largest tourist market in terms of spending by 2023, contributing NZ$ 4.3 billion ($2.93 billion) a year to its economy, the Xinhua News Agency reported. Yang Yong, dean with the School of Tourism at Shanghai-based East China Normal University, told the Global Times that New Zealand's economy is particularly vulnerable to slides in tourism income, to which Chinese travelers contribute a large part. In 2017, tourism generated 17.9 percent of New Zealand's GDP, according to a report issued by the World Travel & Tourism Council. "Offending Chinese tourists is a big thing. The government needs to think about how to please Chinese tourists rather than pushing them away," Yang said.